The Players of the Week are awarded after every game. There are 3 Players of the Week, 1 for Defense, 1 for Offense and 1 for Special Teams. 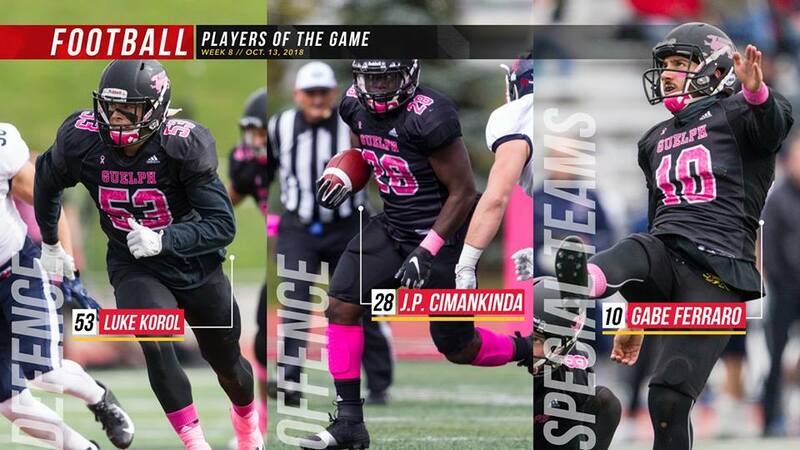 Gryphon Football is very proud of our amazing players and congratulate them on their successes.